Adam Fierman uploaded the above video, showing Duplex breaking up with the user's girlfriend for them. Funny or Die made a similar video, with Duplex being used to call the user's parents and ask for money. 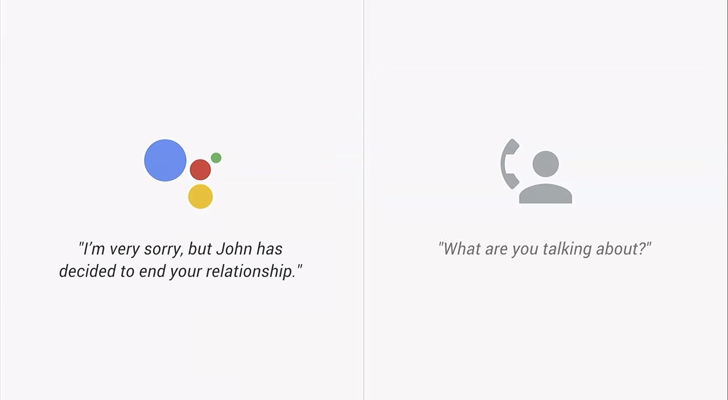 Google Duplex: "Hi! Uhm... I'd like to make a dinner reservation for 3." Google Duplex: "it's, uhh... for tomorrow May the 11th at NULL POINTER EXCEPTION." Maybe once Duplex rolls out, I can get it to start writing articles for me. Don't tell David.